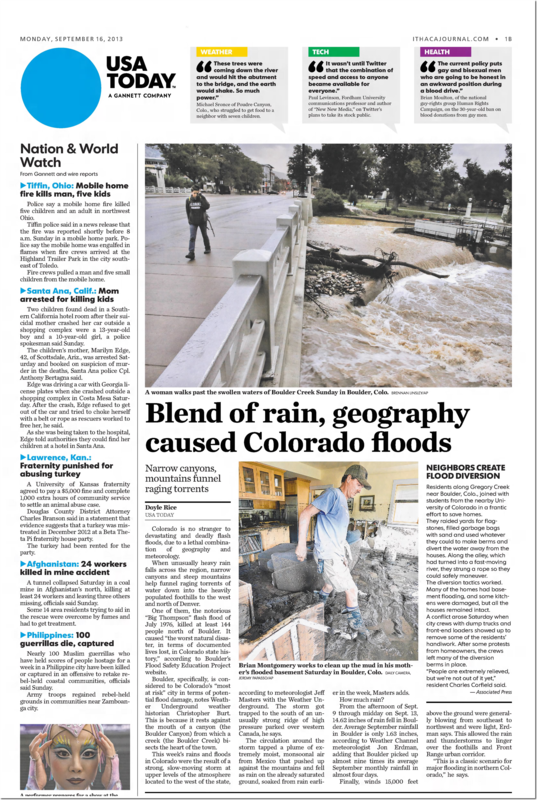 During this week five years ago, Boulder received 18 inches of rain. The storm total in 2013 was comparable to what is forecast for North Carolina this week. NCAR Scientists here in Boulder say that much rain is an indication of man-made warm sea surface temperatures. I do a lot of aerial photography here, and haven’t seen any indication of nearby oceans. 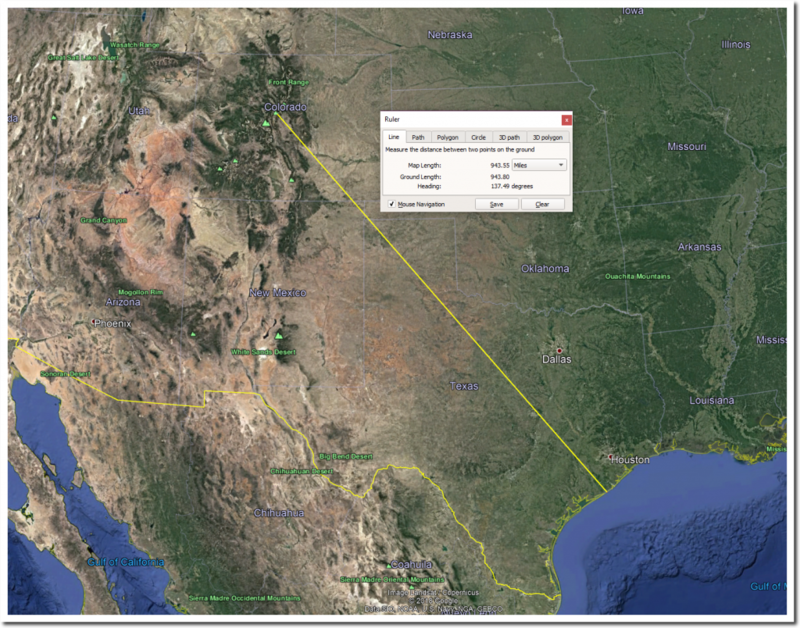 In fact we are about 950 miles from the Gulf of Mexico. I ride my bicycle up to NCAR almost every day, and haven’t seen any warm sea surface temperatures up there either. 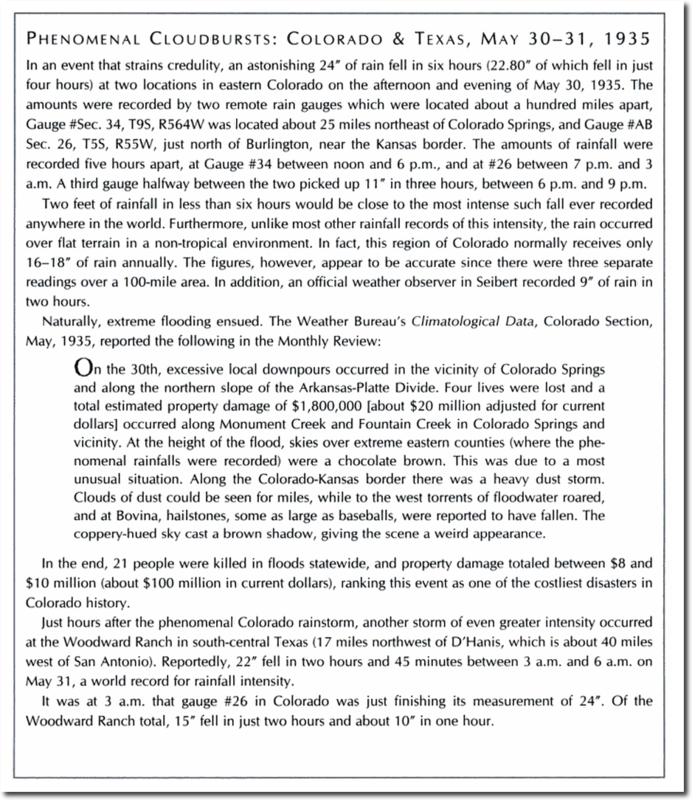 Colorado must have been closer to the ocean in 1935, when man-made warm sea surface temperatures caused 24 inches of rain to fall in six hours. Boulder doesn’t have an ocean, but there are lots of drugs here -which may be impacting the intellectual health of climate scientists. I’m sure the People’s City of Boulder was once a lovely seaside resort, before it rose several thousand feet. There is fossilized seashore sands between Keota and Grover at the top of the west bank of the drainage area between there and the Pawnee Buttes. Rippled sandstone littered with water-warn rocks and pebbles overlooking a very dry landscape. Keep up the great work. I use your data all the time and share it with everyone I know. Wildly fraudulent. I will be making a blog post and video about this tonight. A TIE with 1934. ho-hum….. So that means NO WARMING in 85 years. Did they mention which years were in 1st, 2nd and 3rd place ?? This is basically an IDIOTIC statement. 4th place is NOT a record. EVER. I agree. 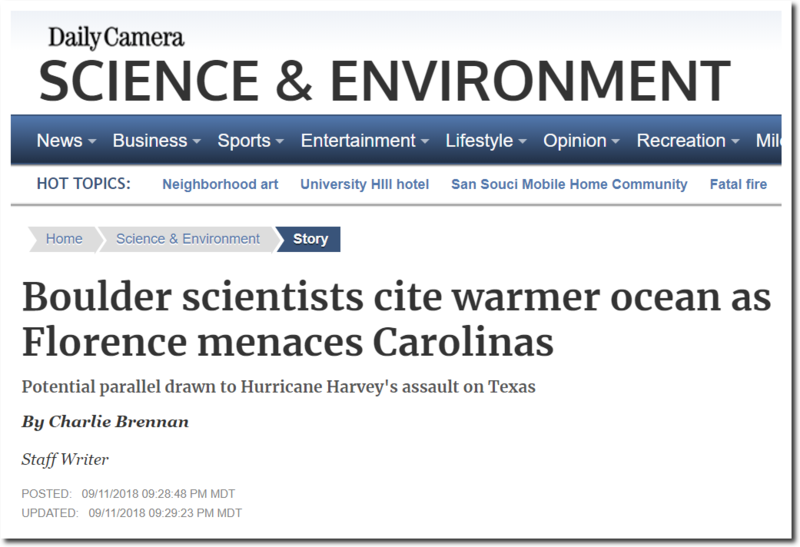 When climatatologists use words like ‘rapidly’ and ‘record’ I immediately tune out. Unless it is tongue in cheek like Tony does it. Something must be going on, because the web page for Colorado University’s Sea Level Research group has been down for nearly a month.